Local electronics brand Firefly Mobile continues to push the envelope when it comes to Android handset prices and value for money. 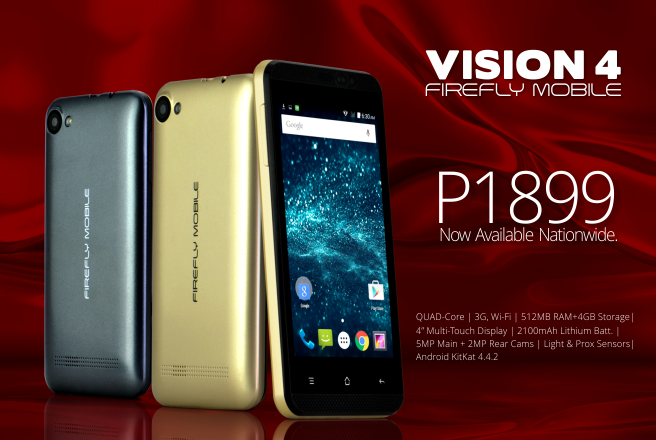 They've just made their latest entry-level smartphone, Firefly Mobile Vision 4, available nationwide. 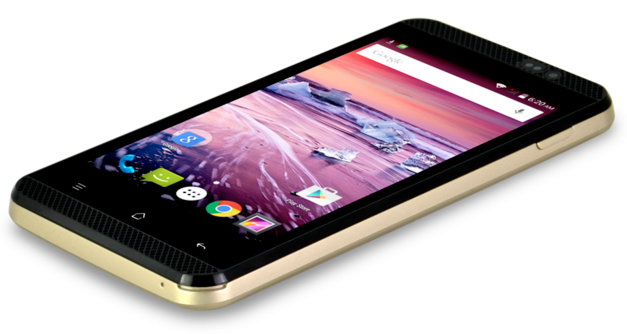 This one is made specifically for budget-conscious consumers who are currently on the look out for their first Android phone or who are looking for a very affordable secondary handset. Donning an official suggested retail price of only Php 1,899, what's great about the Vision 4 is that it is already powered by a Quad Core 1.2 GHz ARM Cortex A7 and Mali 400 GPU based chipset (most probably from Spreadtrum or MediaTek) giving it decent gaming and overall touch performance on the vanilla Android 4.4 KitKat interface. While its 4-inch WVGA display and Dual SIM Dual Standby capability are already pretty standard for a 2015 mobile device by a local manufacturer in this price echelon, Vision 4's 5 MegaPixel main camera with LED flash and 2 MP front cam combination is a real treat. On top of that, the phone already supports 3G HSPA+ mobile speeds and even has a rather large 2,100 mAh battery pack, which should provide above average uptime considering the size of the phone's display. 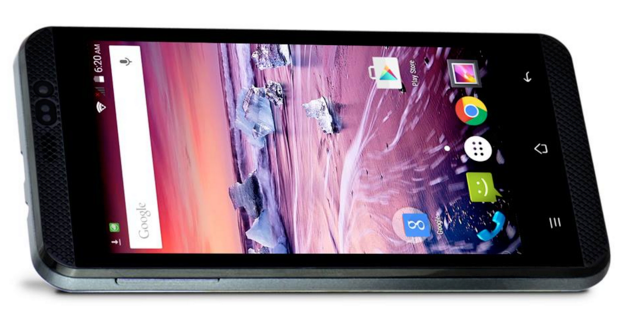 Not bad at all for a Php 1,899 Android smartphone, right? When it comes to looks, as you can see, the model has a fairly simple design language. You won't see lush metallic accents. It's pretty basic and given its price, I really don't mind. Available in Carbonite Grey and Bubbly Champagne, Firefly Mobile Vision 4 is now up for purchase at all Firefly authorized retail partners across the archipelago. "Same solid warranty. Same solid build standard. We've never offered a device this powerful at this price, so you can understand our excitement," shared Firefly Mobile's Marketing Team.